The theme this year is “Hidden Lives, Hidden Patients” – focusing on people whose palliative care needs are often not recognised, such as children, indigenous people, those living in rural settings, prisoners, soldiers, and lesbian, gay, bisexual, transgender and intersex individuals. When will the tweet chat be held? What topics will we be discussing? 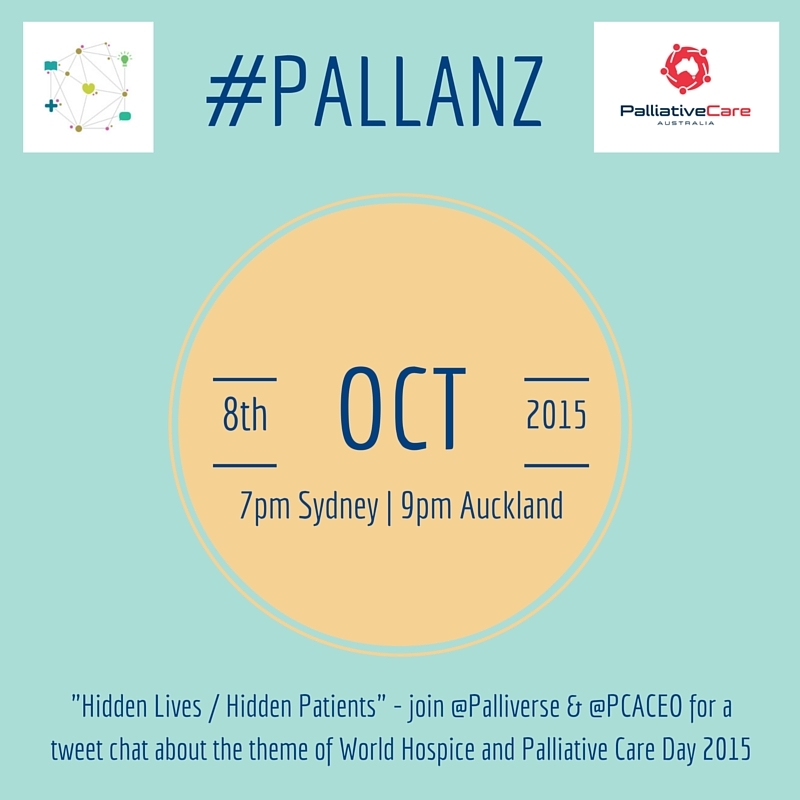 T1: Who are the “hidden patients” with “hidden lives” and unmet palliative care needs in our community? T2: What keeps these patients and families “hidden” from palliative care? T3: What helps to “reveal” these patients & help them access palliative care? T4: How can we improve access to palliative care for “hidden patients” in our community? Who should participate in the tweet chat? You don’t have to be an expert, a Twitter whiz or even live in Australia or New Zealand to participate – in fact, we strongly encourage those new to Twitter and from beyond our shores to join us and share your views! This entry was posted in Clinical, Ideas, People, Policy, Practice, research, social media and tagged #PALLANZ, #WHPCD, Hidden Lives Hidden Patients, hospice, Palliative Care, twitter, WHPCA by Chi. Bookmark the permalink.